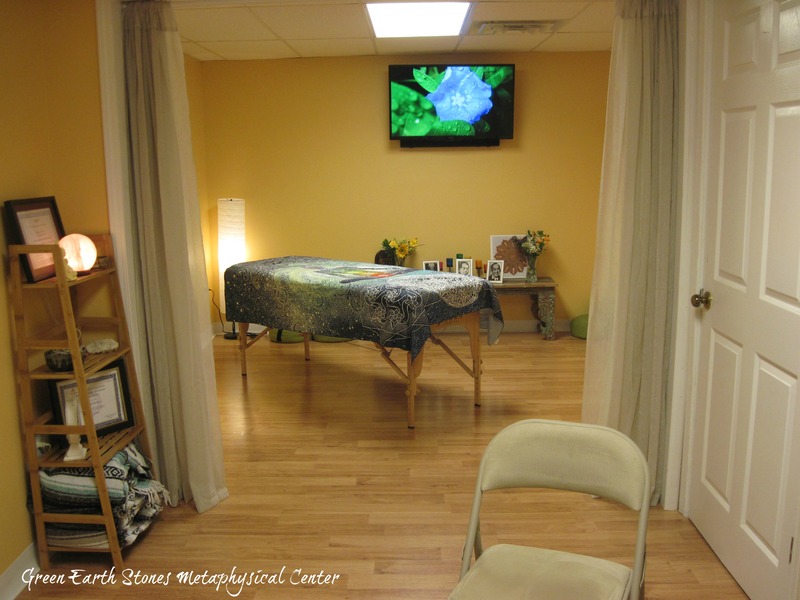 Green Earth Stones is a family owned metaphysical center, we have both a physical location as well as an online shop, we are located Bowling Green Kentucky. 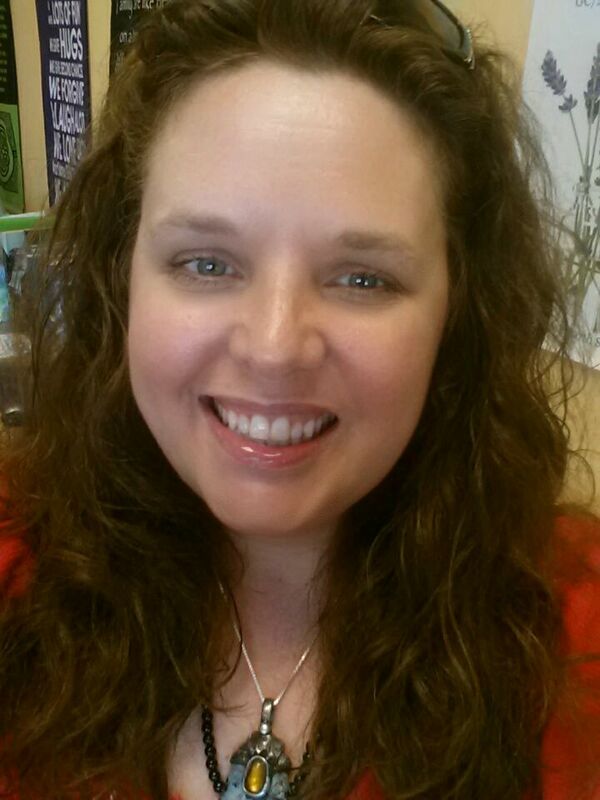 The online business came first in 2008 and then we took the leap into a local retail space in 2013! 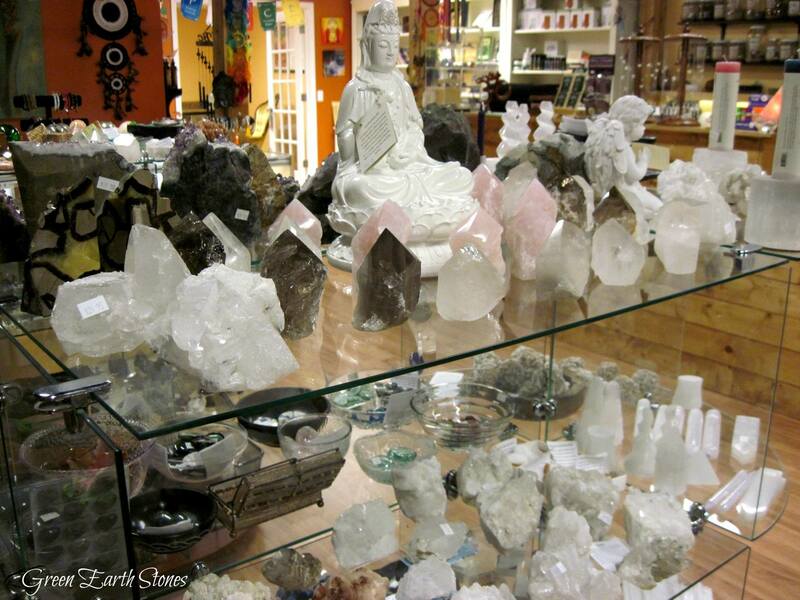 We carry a large and ever growing selection of crystals, gemstone jewelry, essential oils, herbs, smudge supplies, candles, home decor, books, tarot cards and many more items! 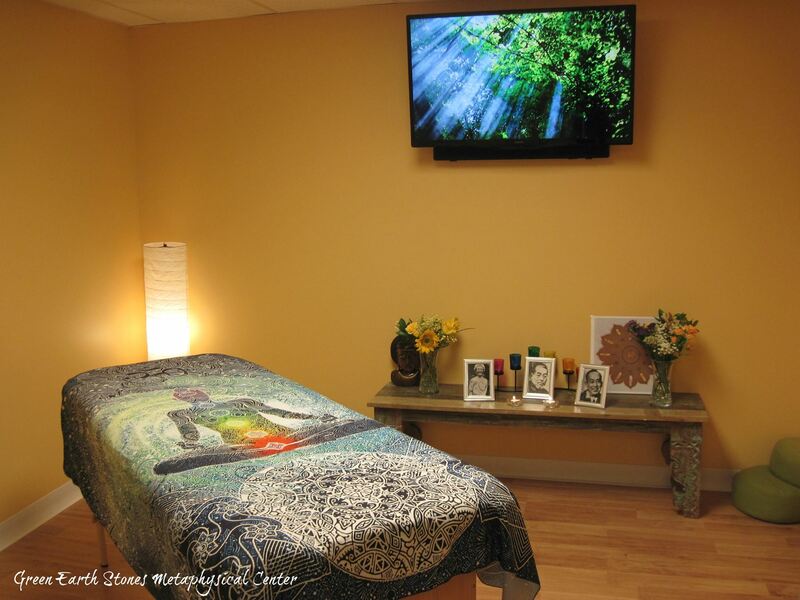 We offer classes, Reiki, meditation meet ups, spiritual readings and so much more. 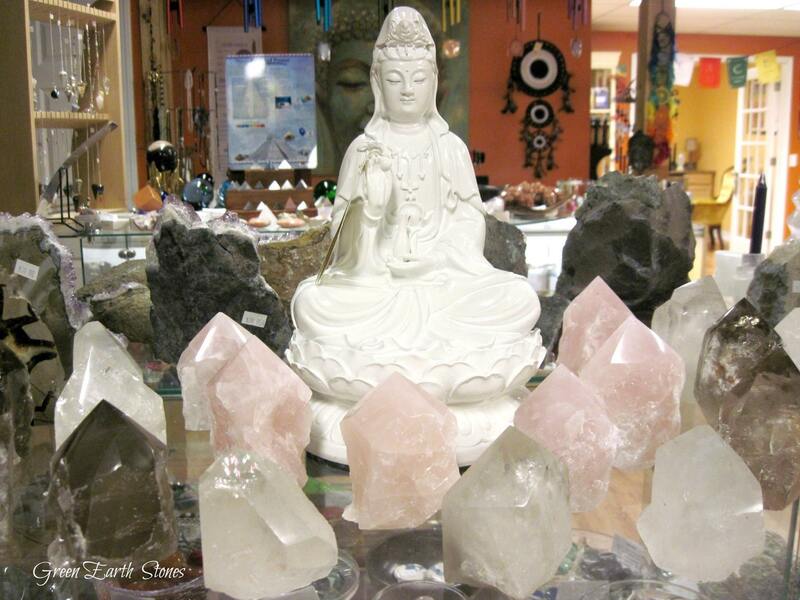 Our passion for crystals and metaphysical supplies keeps our product base ever growing as we search for and find more products that we believe will be enjoyed and that will be beneficial to our customers, so please be sure to come back soon and view our new products. If you would like to receive e- mailings of special offers that we run from time to time in our monthly newsletter please add yourself to the mailing list. Follow us on Facebook too for the latest sales, giveaways, and much more. You can also find us on Twitter as Earthstones, Instagram as GreenEarthStones and Pinterest also. If you are looking for a particular item and do not see it on our website, please call the store. We carry hundreds more items in our retail location. * Donating to a tree rescue project, contributing to the replanting of trees throughout the country after suffering from forest fires and other natural disasters. * Donated to our local animal shelters by donating supplies, dog houses, food and helping cover vet fees for animal operations. * Sponsored our local FOP lodge by equipping school children with back to school supplies and the Christmas fund. 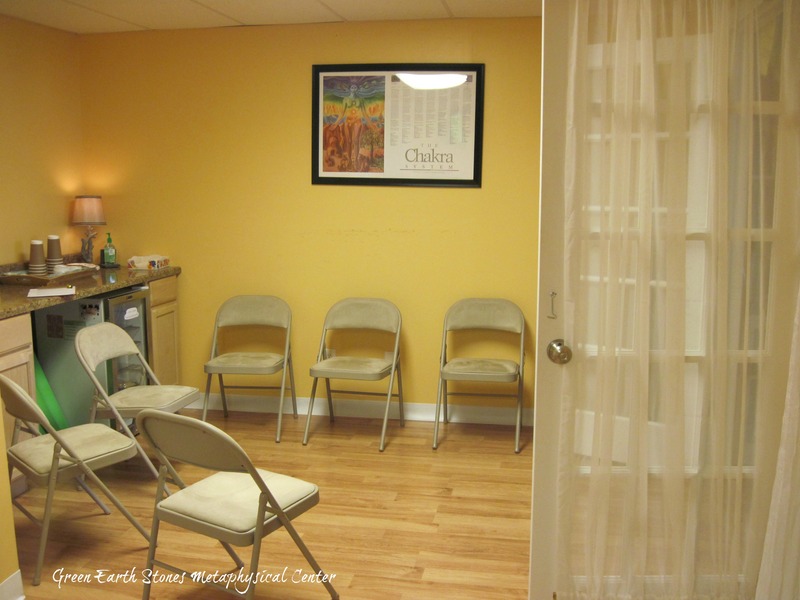 * Offer free Reiki sessions in our monthly Reiki Share. We would like to thank all of our customers for their business past and present! We have made some great friends since opening our business in 2008 and look forward to making more. We also try to find ways to recycle and re-use. If we do use packing peanuts on our shipments they have not been purchased, we are re-using the clean packaging that has been used on our incoming orders, we save and re-use them, we ask you do the same. We print on paper that contains post-consumer recycled paper. Our shopping bags are eco-friendly and biodegradable. Any scrap metal, steel, iron from the workshop is collected and taken by Jeff to be recycled. Please be assured that Green Earth Stones will not sell your email address to any third party, we deeply respect our customers privacy and will never divulge your information to anyone, ever. Best wishes from the Green Earth Stones family, Kathryn, Jeff, Lauren, Matt, Jake and Lilly! 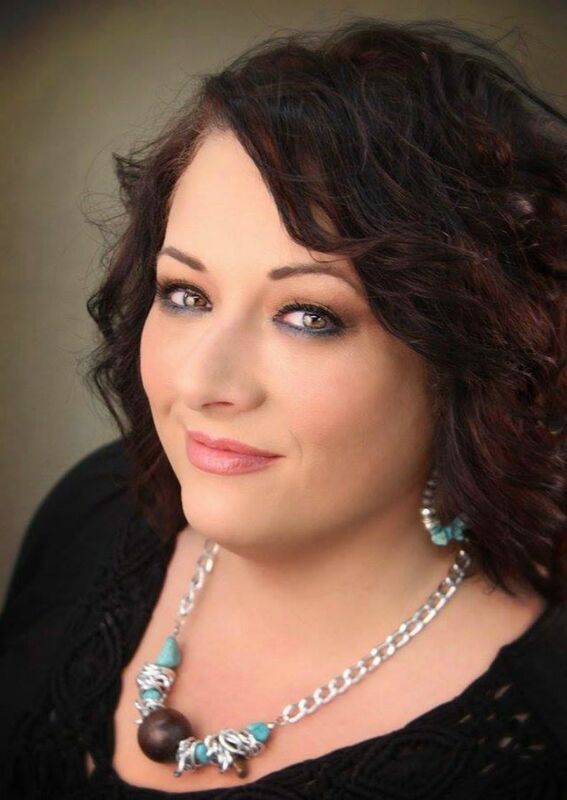 Sandra helps run the store on the weekends and assists customers to find just the right crystal or product for their needs, she is our go to girl for Astrology and offers astrology and tarot card readings. Please check our calendar for many more guest readers and teachers that visit the center! Tuesday thru Thursday 11am to 5pm. Disclaimer: Please note that all information contained on this website is for informational purposes only, no claims are made, please note that these alleged powers are gathered from various sources which include but are not limited to folklore tales, historical writings and books. This website is not recommended as a means of diagnosing or treating illness and all matters concerning mental, physical, spiritual health should be supervised by a qualified health care professional, Reiki and other discussed healing modalities is not a substitution for medical care.